SaveMGO was a community initially created to petition for the revival of the original Metal Gear Online, from MGS3. It was quickly realized that a petition would not bring the game back, so we took matters into our own hands. After a push from an individual (Zak/The_Fog), MrGame and GHzGangster were able to interact with, and craft our own server for the since 5 year old game. Some games and time passed and Wtfareuthinking, Droogie, and GHz eventually started to work on Metal Gear Online 2, from MGS4. While we experienced different issues, we were able to pull through and create our own private server for MGO2 as well. Although development on MGO1 has slowed, development on MGO2 is rapid and ongoing. If you would like to play MGO2, keep on reading! 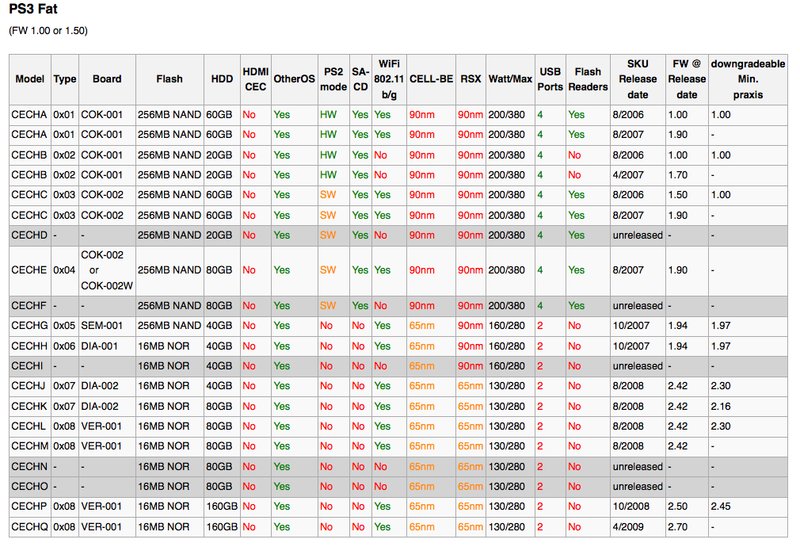 - OFW: "Official Firmware," firmware distributed on PS3 consoles by Sony. - CFW: "Custom Firmware," firmware created by hackers by modifying Official Firmware. "To Jailbreak" or "to install CFW," means to install custom firmware on your PS3, thus "jailbreaking" the console. "MGO2R" stands for "Metal Gear Online 2 Revival," the Revival server has been public since 7/11/14. If you're interested in playing MGO2R you will require three things. Access to a computer, a USB stick, and most importantly, a Playstation 3 console. It was formally required that the console be jailbroken, but no longer. But if you're still interested in obtaining a jailbroken console, there are three ways to go about it. 1) Downgrade/jailbreak your current PS3 console. 2) Pay someone else to downgrade your current PS3 console for you. 3) Purchase a PS3 console running version 3.55 (or older) or a PS3 already jailbroken. You can check the PS3 system firmware by starting the PS3 and going to Settings -> System Settings -> System Information. PS3 consoles that are 3.55 or older can be jailbroken immediately, and without downgrading. PS3 consoles updated past 3.55 will need to be downgraded first (if possible). PS3 consoles already jailbroken and running CFW can be used with MGO2R almost immediately, and without downgrading or jailbreaking. Otherwise you will need to purchase another console. CECH-25xx (Some can, some cannot. 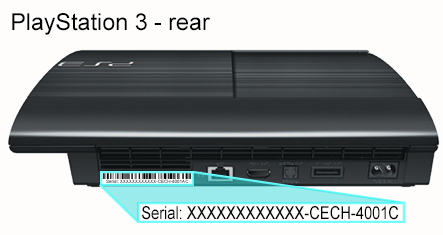 Can verify by datecode on label on the PS3). NOTICE: Downgrading your console yourself can result in permanent damage to your PS3 console if done improperly. Your PS3 could be left in a non-working state if you're not careful. Only downgrade your console yourself if you know you're capable. 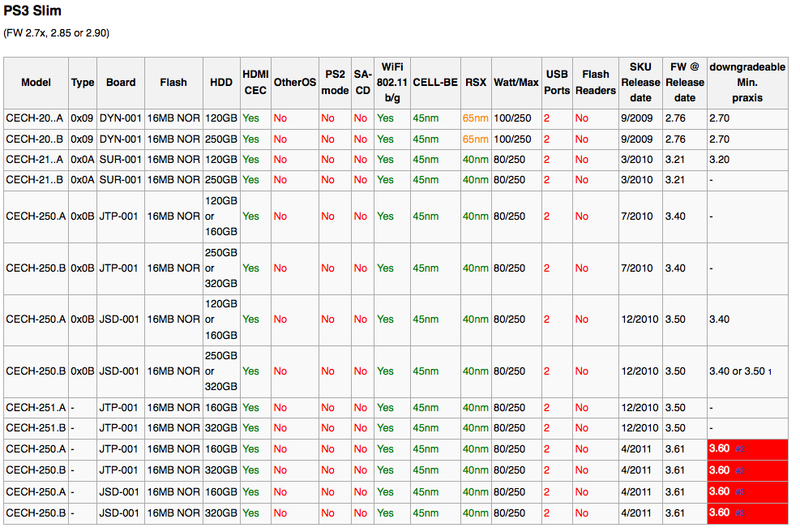 Switcheroo wrote: WarrantedSearch, also known as Patrick, offers downgrading services for all downgradable PS3 models. He's located in Toledo, Ohio and typically ships via USPS. Once he receives your PS3 he will usually have it downgraded and shipped back out within 2-7 days. So if you're seeking a downgrade, Patrick comes highly recommended and is one of the preferred downgraders used by SaveMGO members in the past. You can contact him through Skype at "warrantedsearch". NICE ONE wrote: hello there MGOers. i just want to share the guy that did my cfw ps3. i managed to get two ps3s slims for good cheap price and took em to him. he installs whatever you ask him to install. he is locally to me so i just took in my ps3 and charges $40 for local and does it in about 1hr-2hr. but mostly been 1hr. i have rogero 4.55 spoofed up or however he said due to new ofw that had come out and multiman. he is magneto327 on ebay, http://www.ebay.com/usr/magneto327 and also has a site http://ps3downgrade.net/ he has his cell number and address for you to ship the ps3. hes a good legit guy for those of you looking for someone to jailbreak your ps3. stays in california in south el monte. It's possible local users of sites such as Craigslist offer downgrading services in your area. You need ANY PS3 console. PS3 consoles can be found on sites such as Amazon, Ebay, Kijiji, Craigslist. It's also possible local PS3 repair shops offer downgrading services or consoles for sale. - The person you send it to knows what they are doing. - They will install whatever CFW you want them too if you ask (most likely). - They will probably clean the inside of your PS3. - Only thing you have to do is pay and post your PS3. - You have to send your PS3 to someone you don't know (only recommended with good Ebay feedback). - You can sell the hardware flasher after you've used it, so the process is basically free. - You don't have to send it to a stranger (not really an issue as long as they have good Ebay feedback). - You have to learn how to do it if you don't already. - Actually doing it takes time, patience and concentration. - Acquiring a hardware flasher. - You could break/brick your PS3 if you're not careful. The easiest way to get online is by having a downgrader downgrade your PS3 or just by purchasing a 3.55 or jailbroken console. Or continue reading for normal PS3 consoles.